David "Kid" Jensen: "Hi there. David Jensen here welcoming you to another Top of the Pops. Mike Read can't be with us, but we do have an excellent line-up and records for you to listen to, and watch as well. And we're going to kick of with Gillan. Restless." What's wrong with Mike Read? Is he ill? Why -after his no show here- does he only present three episodes of Top of the Pops in 1982? Has he fallen out with Michael Hurll? Or, could the BBC be worried about overexposure? In addition to Top of the Pops Mike Read also has the Monday to Friday Radio 1 Breakfast Show, and on BBC1 Pop Quiz and, later in the year, Swap Shop's replacement the weekly Saturday Superstore; oh and in March a one off called The Battle Of The Bands which he co-hosts with rock goddess Rula Lenska. Is it possible that someone at the BBC wanted to minimise his hosting of Top of the Pops to stop him becoming the BBC's face of pop music. 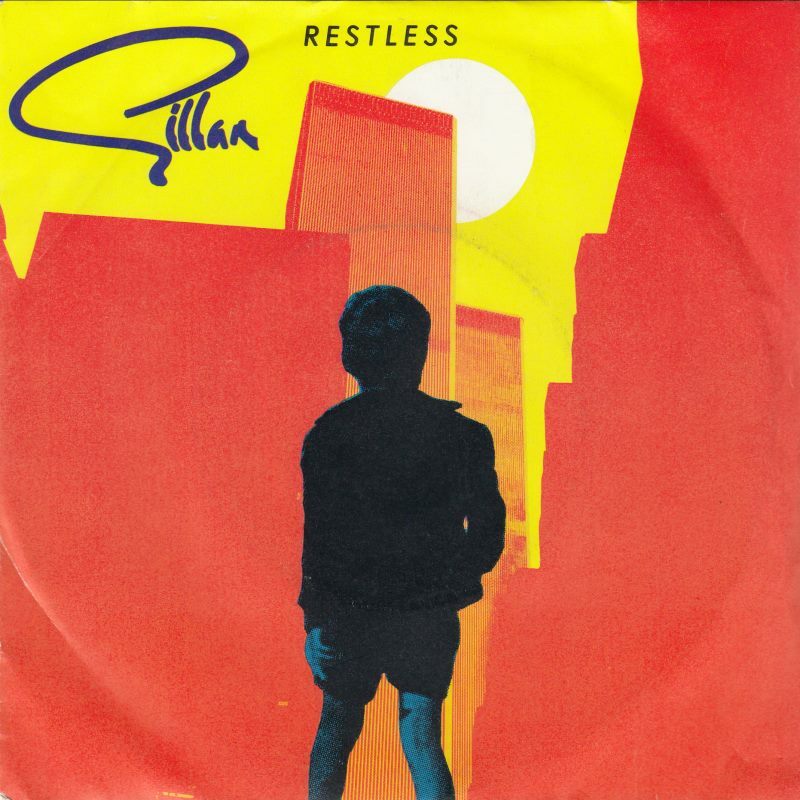 Gillan: Restless . Top of the Pops has a new set element. The programme logo has been rendered in neon. It looks expensive. Thunderflashes abound when Gillan starts to play and the stage is showered in sparks like the bridge of the starship Enterprise when it's attached by Romulans. This song has no connection to Rebel Rebel by David Bowie but every time Gillan sings "Jimmy Jimmy," I expect the next line to be "you've torn your dress." I had a vision the other day (and I imagine President Trump says this regularly) that for some reason the specifications of the famed wall to keep out Mexico were incorrect and when it was finished the thing turned out to be only two foot tall! Or perhaps the ground is not really suitable for the construction of a wall (isn’t it semi desert?) meaning that a decent push would send part of it falling over. Will this wall – or as it’s now called “large physical barrier” -be the symbol of Trump’s Presidency? Peter Powell: "Hello and welcome to the first Top of the Pops of 1982! 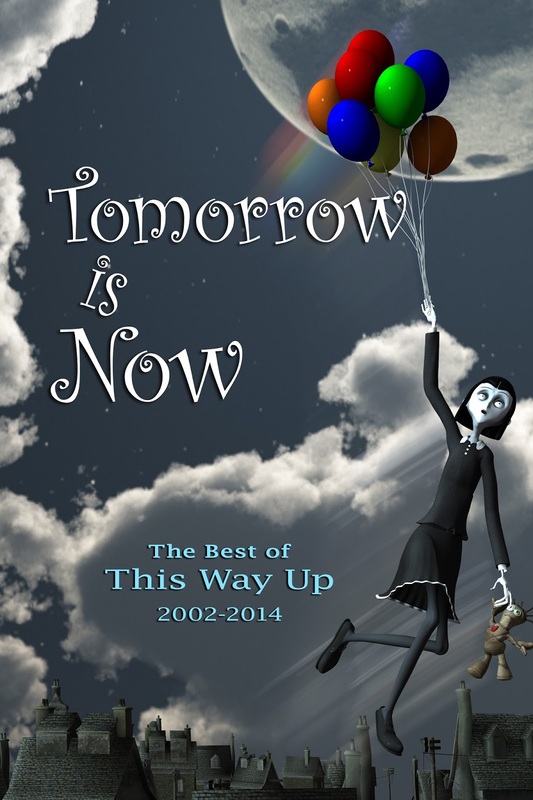 We've got a show stacked full of good stuff including the number one band in the studio! But right now, for starters, new at 25 Philip Lynott and Yellow Pearl!" 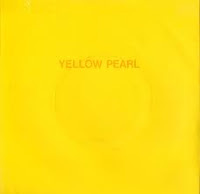 Phil Lynott: Yellow Pearl . Philip Lynott? That seems very formal. Anyway, never mind that because here's Zoo to whirl like dervishes and at one point execute a complicated manoeuvre which looks weirdly like the first ever sighting of a human centipede on prime time television. It's a terrific energetic performance. Peter Powell joins in with the Top of the Pops cheerleaders -who line the podium behind the dancers- with a simple arm swinging routine which he manages to carry off without ever a)losing his place or b)looking massively self-conscious. Oh and new for 1982, here are the Top of the Pops bodybuilders who grunt and strain and strike assorted poses. I'm not sure how I feel about the Top of the Pops bodybuilders. Whenever the pair of oiled up muscle men slide across the television screen I suddenly feel more aware than normal of the top deck bus passengers who keep passing by my window. One of the things we never quite have when an artist’s career is ongoing is an overall perspective. 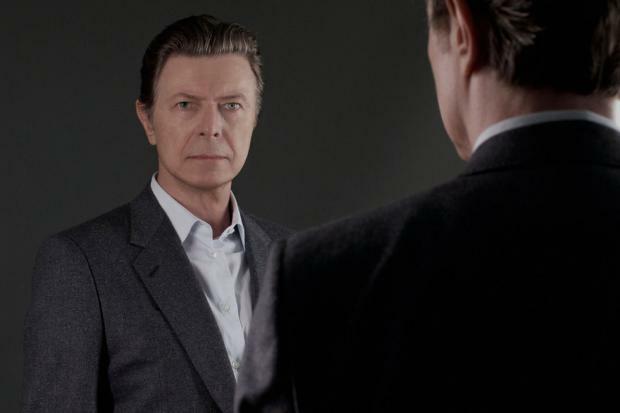 While a year may be rather a short time to begin to tie together such a lengthy evolving career as that of David Bowie, Francis Whatley’s documentary has started the process. Though ostensibly focussed on the singer’s final burst of activity which produced two albums and a stage show the narrative links the themes of these back to earlier triumphs finding recurring motifs and concerns all over the shop. This may be slightly irritating to those who enjoyed the director’s previous Five Years film as there is quite a bit of repeated footage but it does a great job in profiling some of Bowie’s interests and enthusiasms. Plus of course it’s great to see all this footage! Mischief Theatre’s hit play crammed into an hour of fast, simple, glorious fun! Sometimes the simplest things are the best. Sometimes someone falling over, being hit on the head, flying the wrong way up, getting stuck in a door or even reaching for an absent prop is just hilarious. 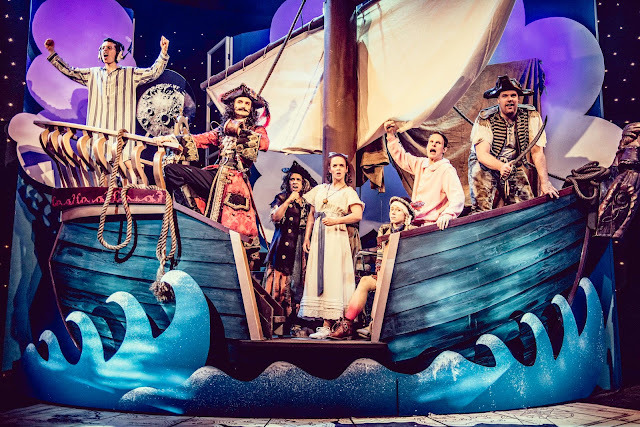 For all the theorising about comedy sometimes all you need is something really brilliantly silly and Peter Pan Goes Wrong is exactly that. Shown on BBC1 earlier this week, this version is truncated from a two and a quarter hour show and amended to make the best use of the medium with added celebrity presence in the form of David Suchet. It was the best thing on any channel over the whole festive period! Still minutes after the events of the mind palace escapades of `The Abominable Bride` the fourth series kicks off with a superbly liberating sense of fun before dovetailing into darker matters. 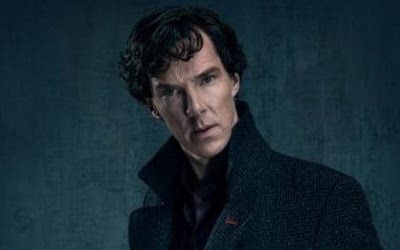 There’s no doubt that Sherlock has become a different series than the idea of updating the old stories to the modern day that it started out as and I think it’s because that’s happened over a comparatively short number of episodes some people are less keen. 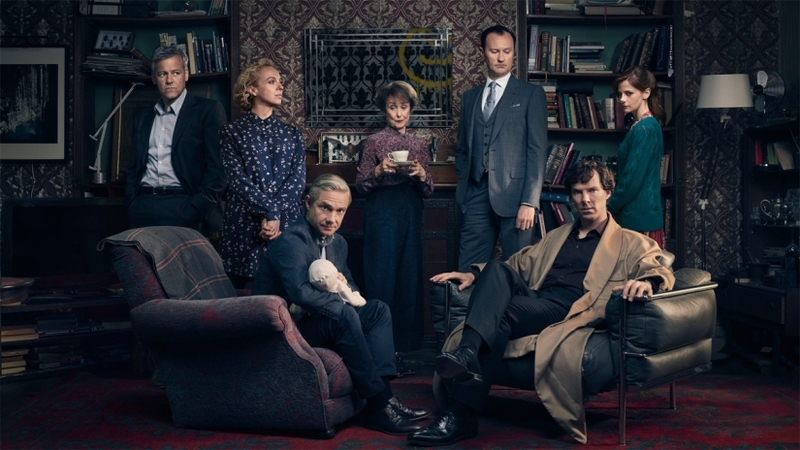 “It’s just about them now” is a common complaint but when you’ve got a cast like this and a chance to sculpt something more inventive than merely a contemporary update why not run with it?